A video clip showing a drone-dispatching airship emblazoned with the Amazon logo is a powerful contender for April Fool’s joke of the year — and what makes it so powerful is that it comes close to a kind of truth. So close that some took it as a serious sign of the dystopian retail age we’re living in. Eventually, the truth was sorted out — with Snopes.com stepping in to help set things straight. It all started on a Japanese Twitter account, Zozi009, which features a video production artist’s CGI wizardry — or deviltry. 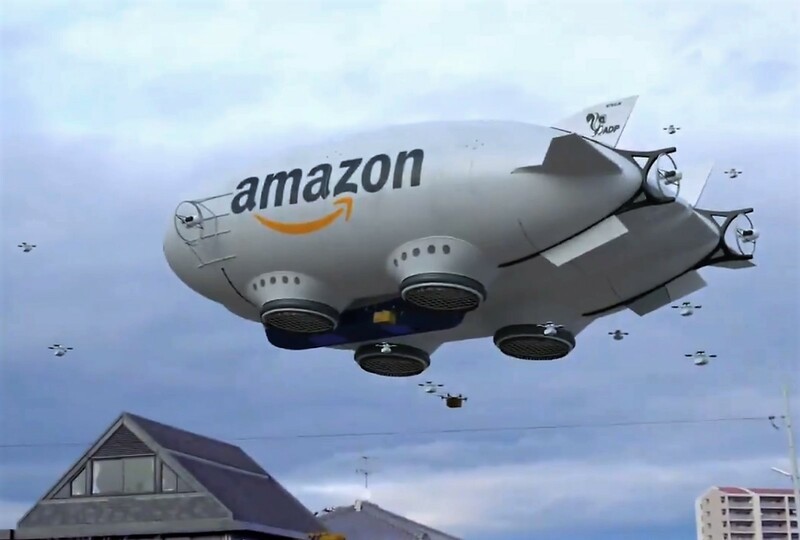 The artist created 3-D renderings of an airship based on the design for Lockheed Martin’s P-791 hybrid prototype, slapped on the Amazon logo, and added the imagery to the background video. This entry was posted in GeekWire and tagged Airships, Amazon, April Fools' Day, Drones, Technology. Bookmark the permalink.